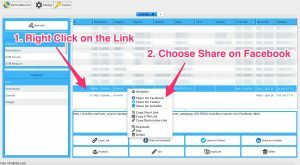 To Share the Link you can select the link and then click on the Share on Facebook button. 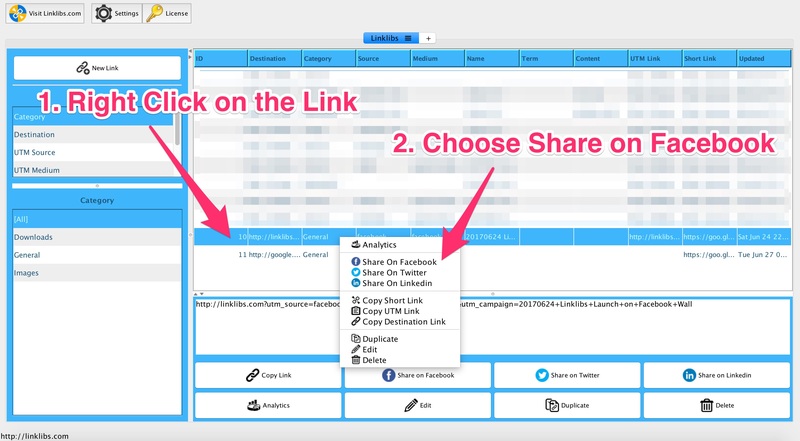 You can also right click on the link and Choose the Share on Facebook option in the popup menu. This will take you to the Facebook Share page with the link already added and an option for you to enter any caption to the post.